Complete network of the BVG in Berlin, the Schöneicher-Rüdersdorfer and the WoltersdorferStraßenbahn. 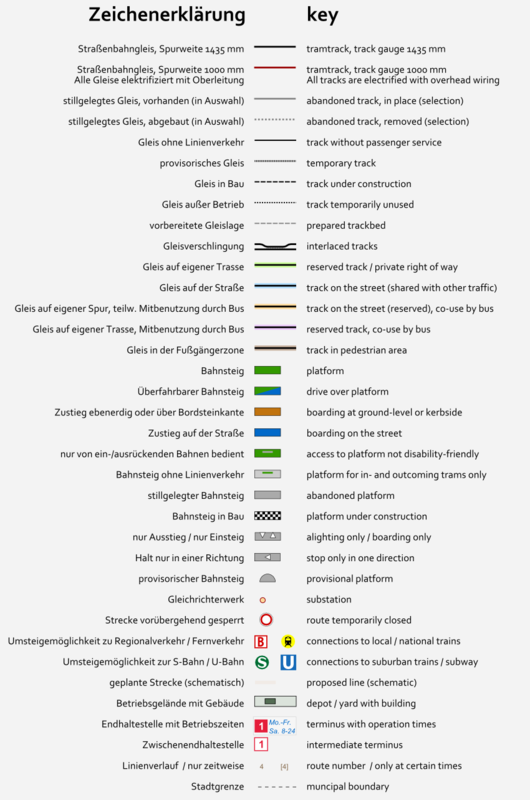 Complete network of the BVG in Berlin. 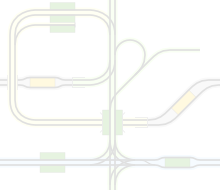 Situation before the line extension. 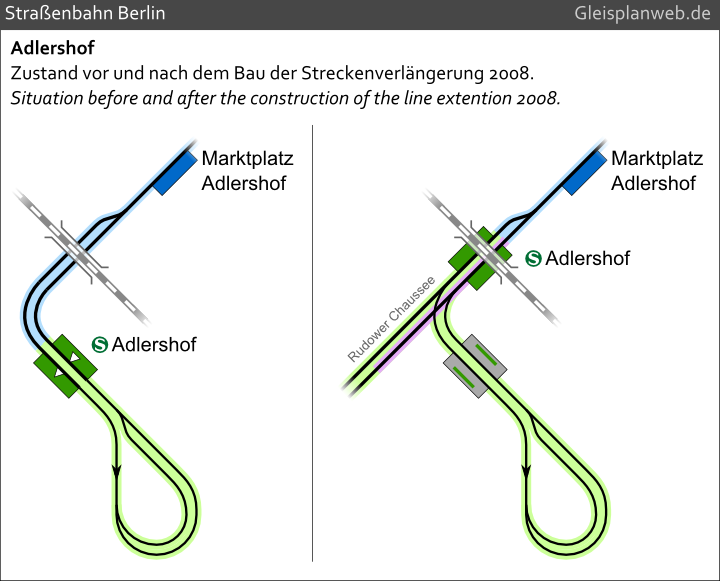 Situation until April 2008 before the start of the reconstruction. 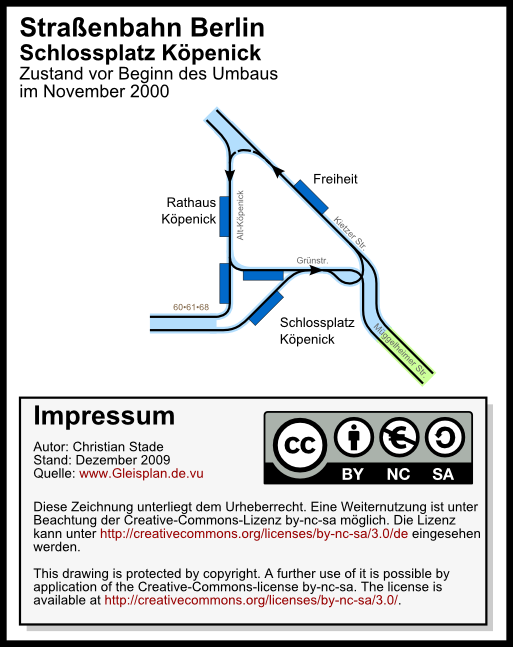 Situation until November 2000 before the start of the reconstruction. 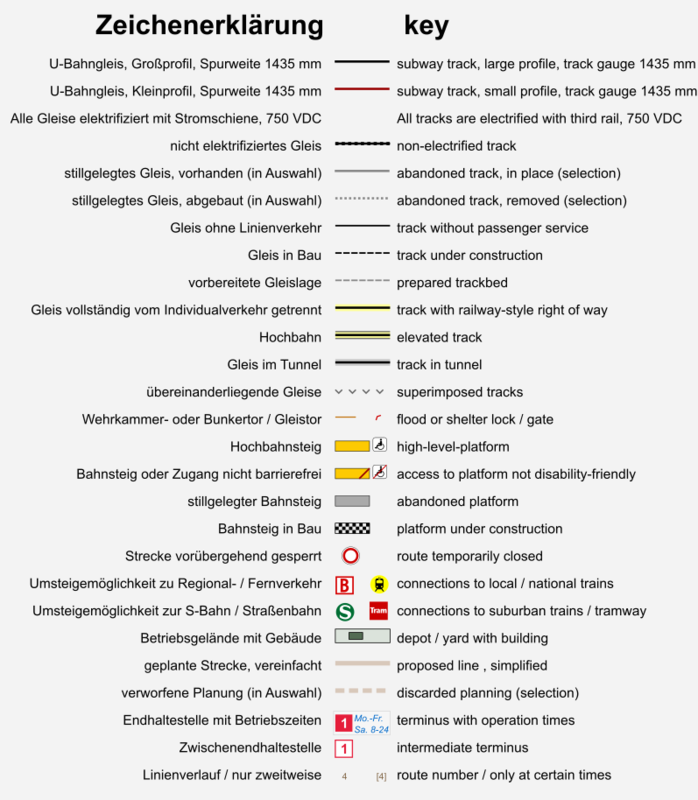 Tramway: Planning for the new stop at S Schöneweide added. Tram: End of single track operation at Schöneweide station. 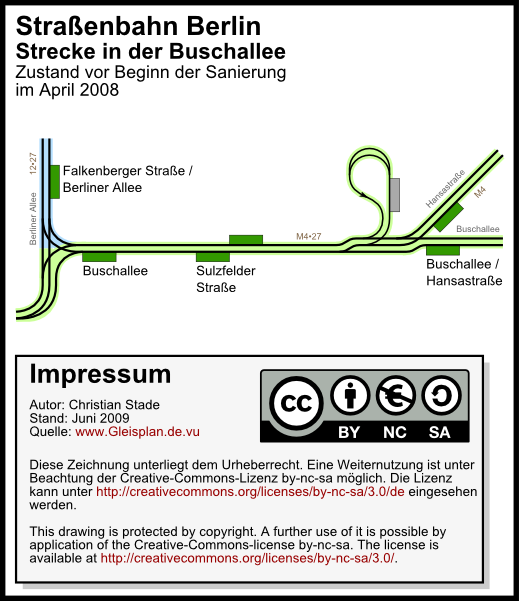 subway: Line 3 extended to Warschauer Straße. subway: Track numbers and proposed lines added.